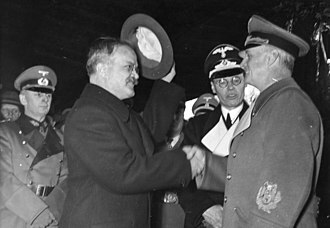 The success of Operation Uranus, launched on 19 November 1942, had trapped 250,000–300,000 troops of General Friedrich Paulus' German 6th Army and 4th Panzer Army in Stalingrad. 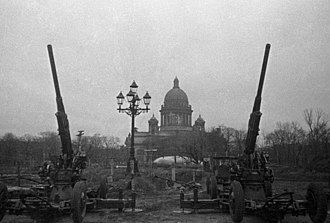 To exploit this victory, the Soviet general staff planned a winter campaign of continuous and highly ambitious offensive operations, codenamed "Saturn". 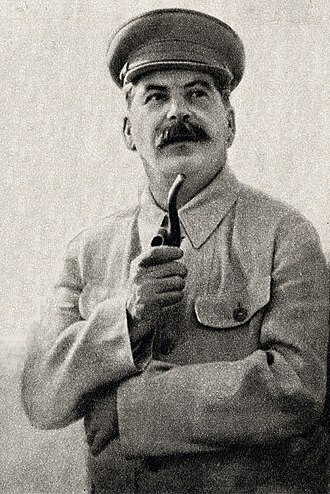 Later Joseph Stalin reduced his ambitious plans to a relatively small campaign codenamed "Operation Little Saturn". 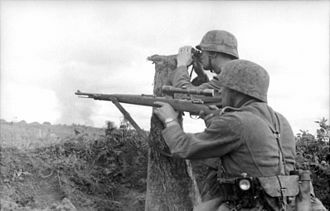 The offensive succeeded in smashing Germany's Italian and Hungarian allies, applied pressure on the over stretched German forces in Eastern Ukraine and prevented further German advances to the relief of the entrapped forces at Stalingrad. 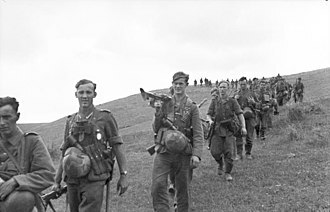 Despite these victories, the Soviets themselves became over extended, setting up the stages for the German offensives of the Third Battle of Kharkov and the Battle of Kursk. 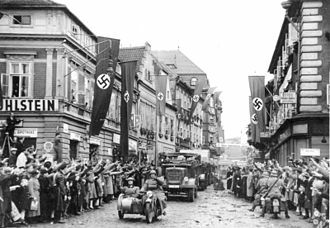 On 17 May 1942, German Army Groups A and B launched a counteroffensive against advancing Soviet armies around the city of Kharkov, resulting in the Second Battle of Kharkov; this would ultimately be expanded on 28 June into Case Blue, which aimed the capture of the Caucasus oil fields. 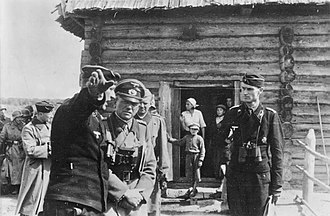 By 6 July, General Hermann Hoth's Fourth Panzer Army had taken the city of Voronezh, threatening to collapse the Red Army's resistance. 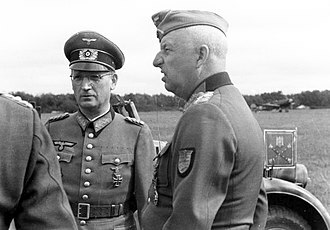 By early August, General Paul Ludwig Ewald von Kleist's First Panzer Army had reached the oil center of Maykop, 500 kilometres (310 mi) south of the city of Rostov, which had been taken by the Fourth Panzer Army on 23 July. 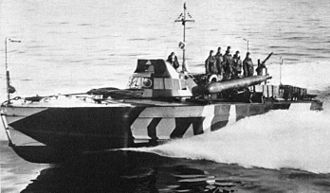 The rapid German advance threatened to cut the Soviet Union off from its southern territories, while also threatening to cut the lend-lease supply lines from Persia. 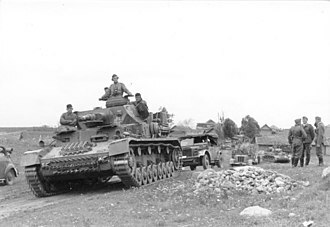 However, the offensive began to peter out, as the offensive's supply train struggled to keep up with the advance and spearhead units began to run low on fuel and manpower; for example, some panzer divisions were down to 54 tanks. 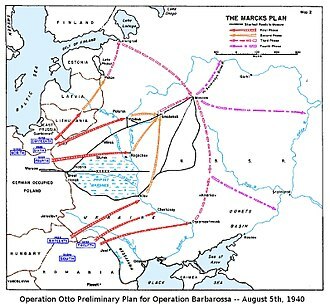 Operation Uranus was the codename of the Soviet strategic operation in World War II which led to the encirclement of the German Sixth Army, Third and Fourth Romanian armies, and portions of the German Fourth Panzer Army. 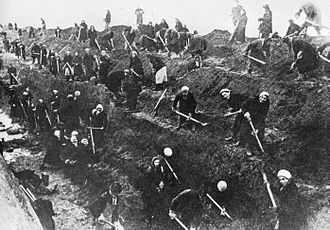 The operation formed part of the ongoing Battle of Stalingrad, and was aimed at destroying German forces in and around Stalingrad. 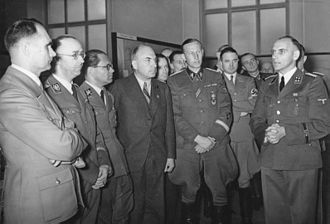 Planning for Operation Uranus had commenced as early as September 1942, and was developed simultaneously with plans to envelop and destroy German Army Group Center and German forces in the Caucasus. 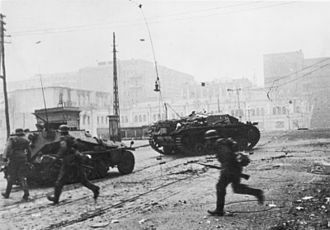 The Red Army took advantage of the fact that German forces in the southern Soviet Union were overstretched around Stalingrad, using weaker Romanian armies to guard their flanks; the offensive's starting points were established along the section of the front directly opposite Romanian forces. These Axis armies were deployed in open positions on the steppe and lacked heavy equipment to deal with Soviet armor. Operation Winter Storm (Unternehmen Wintergewitter), undertaken between 12–23 December 1942, was the German Fourth Panzer Army's attempt to relieve encircled Axis forces during the Battle of Stalingrad. In late November, the Red Army completed Operation Uranus, which resulted in the encirclement of Axis personnel in and around the city of Stalingrad. 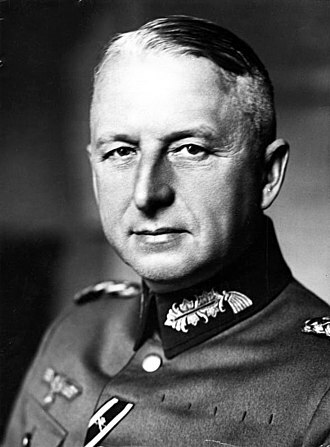 German forces within the Stalingrad Pocket and directly outside were reorganized under Army Group Don, under the command of Field Marshal Erich von Manstein. 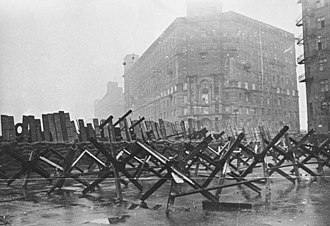 As the Red Army continued to build strength, in an effort to allocate as many resources as possible to the eventual launch of the planned Operation Saturn, which aimed to isolate Army Group A from the rest of the German Army, the Luftwaffe had begun an attempt to supply German forces in Stalingrad through an air bridge. 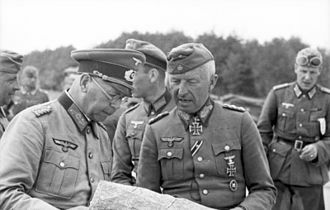 However, as the Luftwaffe proved incapable of carrying out its mission and it became more obvious that a successful breakout could only occur if it was launched as early as possible, Manstein decided to plan and launch a dedicated relief effort. 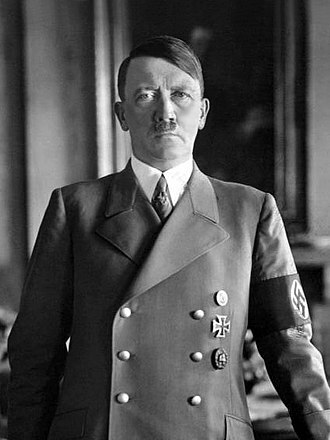 After the defeat of the Romanian Army around Stalingrad and the successful encirclement of the German Sixth Army, Stalin started a counter-offensive nicknamed "Operation Little Saturn" in order to enlarge the area controlled by the Soviet Army in eastern Ukraine until Kharkov and Rostov. 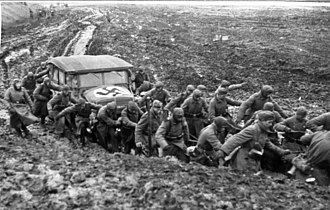 Zhukov states the South-Western Front was assigned a mission in which the 1st and 3rd Guard armies and the 5th Tank Army "were to strike out in the general direction of Morozovsk and destroy the enemy grouping in that sector." 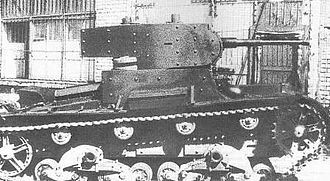 They would be supported by the 6th Army of the Voronezh Front. 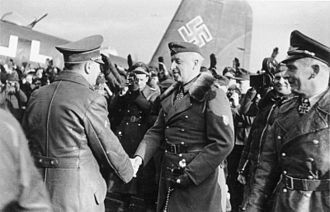 The first stage — an attempt to cut off the German Army Group A in the Caucasus — had to be rapidly revised when General Erich von Manstein launched Operation Winter Storm on 12 December in an attempt to relieve the trapped armies at Stalingrad. 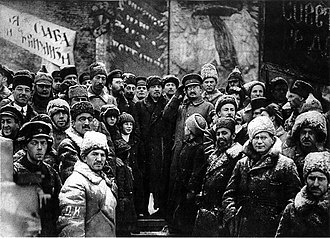 While General Rodion Malinovsky's Soviet 2nd Guards Army blocked the German advance on Stalingrad, the modified plan Operation Little Saturn was launched on 16 December. This operation consisted of a pincer movement which threatened to cut off the relieving forces. 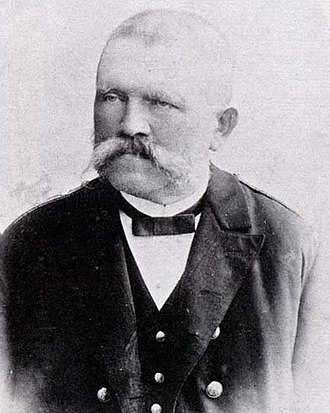 General Fyodor Isidorovich Kuznetsov's 1st Guards Army and General Dmitri Danilovich Lelyushenko's 3rd Guards Army attacked from the north, encircling 130,000 soldiers of the Italian 8th Army on the Don and advancing to Millerovo. 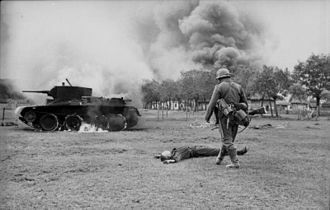 The Italians resisted the Soviet attack for nearly two weeks, although outnumbered 9 to 1 in some sectors, but with huge losses. 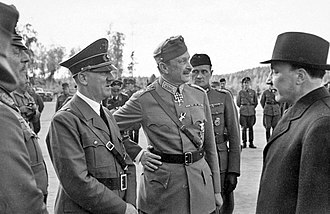 Manstein sent the 6th Panzer Division to the Italians' aid: of the 130,000 encircled troops, only 45,000 survived after bloody fighting to join the Panzers at Chertkovo on 17 January. 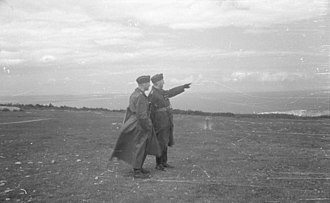 To the south the advance of General Gerasimenko's 28th Army threatened to encircle the 1st Panzer Army and General Trufanov's 51st Army attacked the relief column directly. In a daring raid, by 24 December tanks of the 24th Tank Corps had reached Tatskinskaya, the air base closest to Stalingrad from which the Luftwaffe had been supplying the besieged troops. 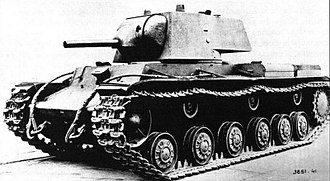 The Soviet tanks drove through snowstorms onto the airfield and roamed about for hours, destroying the German transport planes at their leisure. 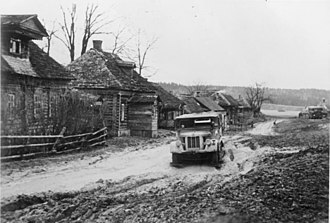 With the relief column under threat of encirclement, Manstein had no choice but to retreat back to Kotelnikovo on 29 December, leaving the encircled Germans at Stalingrad to their fate. Of the 200,000 - 250,000 soldiers encircled 90,000 survived to be taken prisoner. 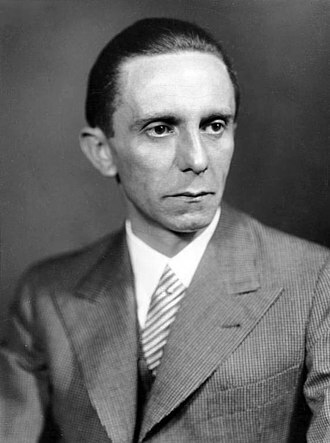 Only 5,000 lived to return to Germany. 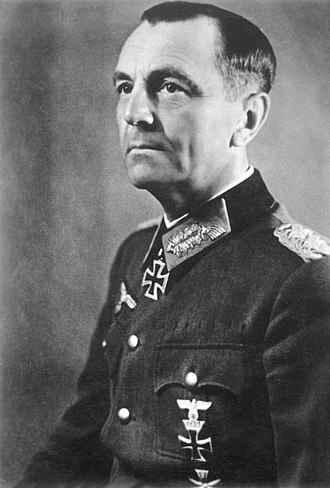 The limited scope of the Soviet offensive also gave General Ewald von Kleist time to withdraw his Army Group A in the direction of the Kuban, with the exception of 1st Panzer Army which joined Army Group Don via Rostov. The Italian 8th Army's Alpini Corps, consisting of Alpine Divisions 3rd Julia, 2nd Tridentina and 4th Cuneense and the 156th Vicenza Infantry Division to their rear, were at this point largely unaffected by the Soviet offensive on their right flank. 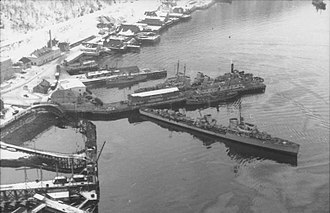 But on January 13, 1943, the Soviets launched their second stage of Operation Saturn, where four armies of Soviet General Filipp Golikov's Voronezh Front attacked, encircled, and destroyed the Hungarian Second Army near Svoboda on the Don to the northwest of the Italians. The Soviets then attacked and pushed back the remaining units of the German 24th Army Corps on the Alpini left flank and contemporarily attacked the Alpini themselves. The Alpini held the front, but within three days the Soviets advanced 200 kilometers (120 mi) to the left and right of the Alpini, who were thus encircled and forced to try to escape a siege (like the one of German sixth Army in Stalingrad). 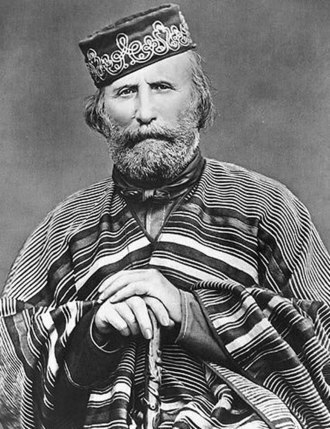 Although the Alpini corps was ordered to hold the front at all costs, preparations for a general retreat began on January 15. On the evening of January 17, the commanding officer of the corps General Gabriele Nasci finally ordered the full retreat, which was fully carried out on January 19. At this point the Julia and Cuneense divisions were already heavily decimated and only the Tridentina division was still capable of conducting effective combat operations (Battle of Nikolayevka, January 25–27). By February first the Alpini reached the Kharkov area, where the Axis forces successfully organized a line of defense. But they did pay a high price in the Soviet Union. The 4 Alpine Division Cuneense was annihilated. Only about one tenth of the 3 Alpine Division Julia survived (approximately 1200 survivors of 15000 troops deployed) and only about one third of the 2 Alpine Division Tridentina survived (approximately 4250 survivors of 15000 troops deployed). 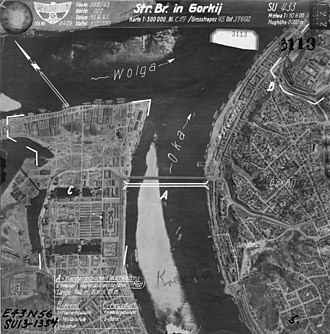 An attack on the German 2nd Army further north threatened to bring about an encirclement; although the German 2nd Army managed to escape, it was forced to retreat and by 5 February troops of the Voronezh Front were approaching Kursk and Kharkov. ^ Zhukov, Georgy (1974). Marshal of Victory, Volume II. Pen and Sword Books Ltd. p. 129,134–135. ISBN 9781781592915. Beevor, Antony (1998). 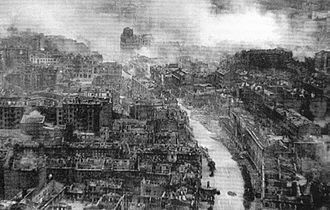 Stalingrad: The Fateful Siege: 1942−1943. Harmondsworth, United Kingdom: Penguin Putnam Inc. ISBN 0-670-87095-1. Bell, Kelly (Fall 2006). "Struggle for Stalin's Skies". WWII History: Russian Front. Herndon, Virginia: Sovereign Media. Special Issue. 1539-5456. Glantz, David M. (January 1996). "Soviet Military Strategy During the Second Period of War (November 1942–December 1943): A Reappraisal". The Journal of Military History. Society for Military History. 60 (1): 35. doi:10.2307/2944451. McTaggart, Pat (Fall 2006). 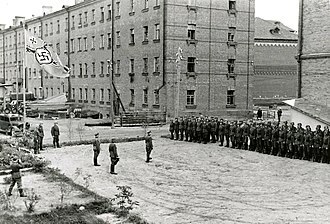 "Soviet Circle of Iron". WWII History: Russian Front. Herndon, Virginia: Sovereign Media. Special Issue. 1539-5456.